２．From the Kuroishi Station, take the Niji-no-ko Koen, Okawara, Nurukawa, or Itadome bus, and get off at the Tsugaru Densho Kougei-kan stop. From there it is a 5 minute walk. 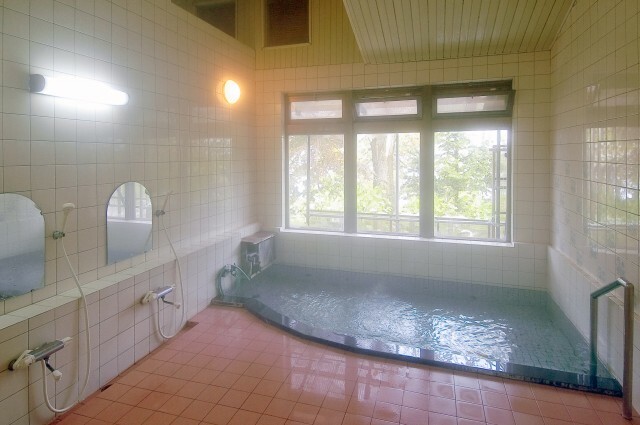 ※The prices listed below will have an 8% consumption tax and 150 yen bath tax added to them. 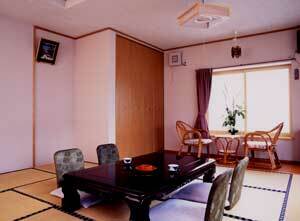 ※During the winter season (December ～ March), a 500 yen room heating charge will be added as well. Day-of cancellations will be charged the full room price. One to three days prior will incur a 50% charge. Four to five days prior will be charged 20% of the room price. Guests can observe hydrangeas from the early summer season and into the fall, and in the winter enjoy illuminated snow scenery, all while soaking in our 24 hour bath. 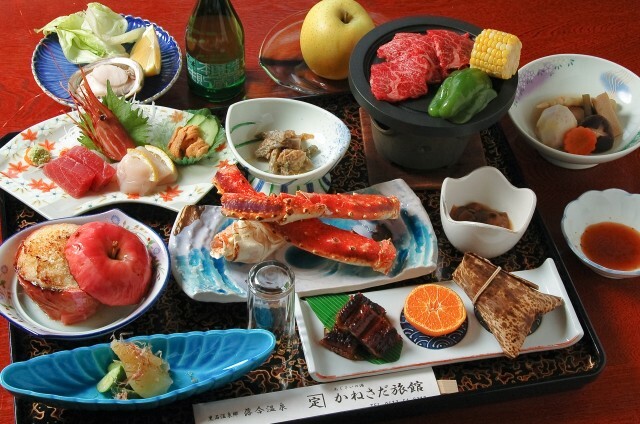 Dinner is delicious home cooking, and dishes are prepared using abundant mountain vegetables and seafood (we serve dishes like fried buttered scallops, raw sea urchin, black cattle steak, etc.). In the summer guests can enjoy the Neputa Festival and the Kuroishi Yosare Festival, and in the winter Kokeshi doll lanterns and the Snow Festival. 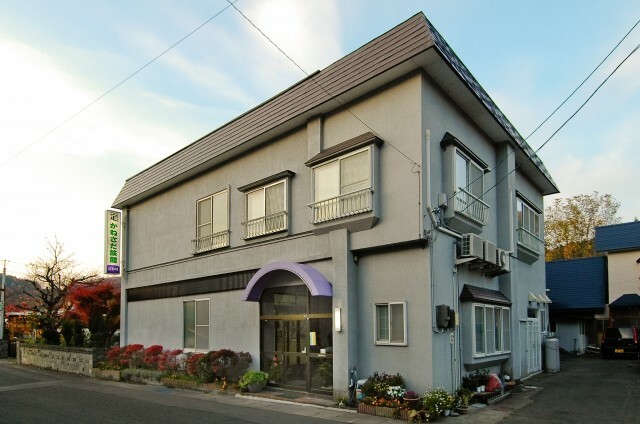 Kanesada Ryokan is furthermore very close to Lake Towada and Mount Hakkoda, so we encourage you to use our facilities as your base location during your travels.